The Chiles Regional Football Field could soon be converted from grass to artificial turf. The Leon County School Board recently voted to approve an agreement with George & Associates Consulting Engineers to provide services related to the placement of an artificial turf system and the design of the underdrainment for the Chiles High School Football field. The contract is for $12,620. Ricky Bell, LCS Director Student Activities, told TR that artificial turf is an option for the Chiles High School field because of the high usage. “Chiles has a lot of varsity and junior varsity teams that use the field and middle schools in the area also use the field,” said Bell. Bell also said the field is hard to maintain even with spending approximately $80,000 each year. The artificial turf cost is estimated to be approximately $850,000 and the installation -pending final approval – is expected to start in May and be complete by fall. 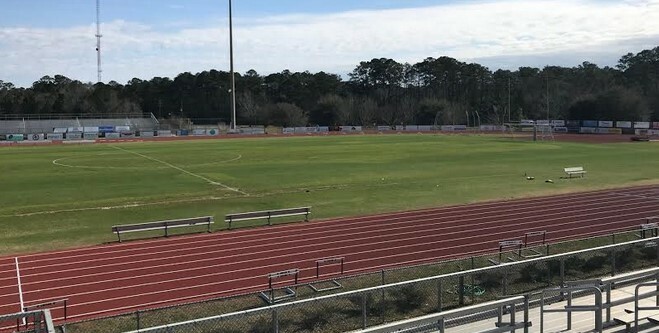 5 Responses to "Chiles Football Field to be Converted to Artificial Turf"
So Leon County schools has found money for turf but no money for teacher raises? I don’t get it. Rocky Hanna hands out raises to people on his executive staff, only some, not all, he enforces a hit list that cost people their financial future, all the while teachers get no raises. We have a school board that sits silent. Leon County Schools home of the strange, led by a man that confessed to the school board attorney that he manufactured false information in a notebook where he wrote false and misleading allegations to state and federal authorities that cost us, taxpayers over $600,000. Nothing happens to him. What could be worse? Not paying child support for 10 years? Oh that’s right Rocky did that too. Didn’t the NFL get rid of artificial turf due to an increase in injuries? So 80k per year for upkeep for natural turf, and 850k for artificial, do you think the artificial will last 8.5 years and how about the upkeep jobs lost by locals. Have to love the new Assistant Superintendent over School construction.. wait that is self appointed Rocky Hanna. Hanns acts as the man in charge over construction .. save us! Hanna rehired Mr. Bell who retired, went in DROP spent 5 years in DROP… rehired full time by Rocky, while his wife was promoted out of Godby High School – where she placed all students in AP US History except a few students to game the school grading system- it is called intent to defraud. Our school system run by Rocky “hit list” Hanna. Doesn’t Capital Stadium (Fairgrounds) get used more? Does IT have Artificial Turf? How many Schools use it? Make those Schools chip in to maintain it. Capital Stadium is used by many high schools, while Chiles stadium, for the most part is used by Chiles.